← My book “Dance of the Trustees: On the Astonishing Concerns of a Small Ohio Township” is available now! I will be writing a full-length book about Sealand, the world’s foremost micronation! I am utterly elated to announce that I just signed the contract to write a book called “Bastards of the North Sea: the Story of Sealand, the World’s Foremost Micronation and the Family that Founded It” for Diversion Books. 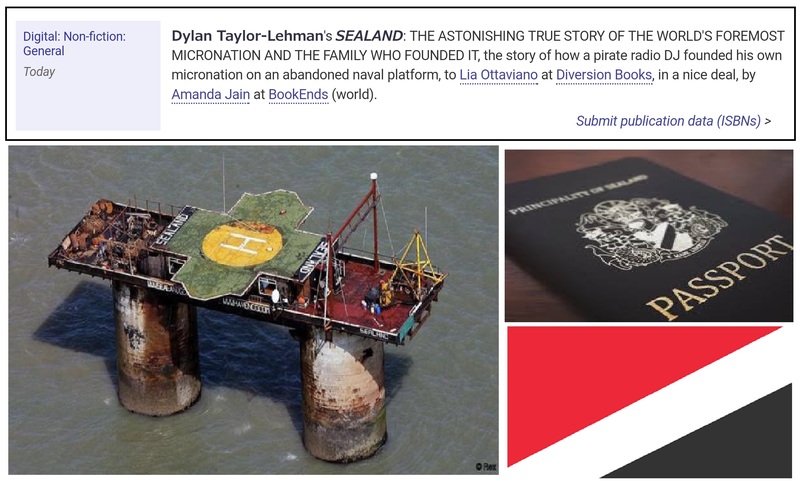 The story of Sealand has captivated me for a very long time, and it’s pretty much a dream come true to be able to write a full-length piece of nonfiction about it! Thanks so much to my agent Amanda Morrison Jain for hooking this up! Prince Michael of Sealand of course published his autobiography in 2016, and so my book with be like an unofficial journalistic complement to his work. I imagine “Bastards of the North Sea” will be published in early 2020. Any and all micronational leaders please feel free to get in touch, as well as anyone well-versed in maritime law!